Laser Facials are an important investment in your skin health and as such only use cosmeceutical and clinical grade skincare in our treatments. We highly recommend you use our prescribed clinical skincare at home to achieve the best results. * Our products and devices are clinical grade so it is important to inform us of any allergies, medication, surgery and implants that may affect the suitability of your selected procedure. Expert customization of lasers & clinical actives. Target your aging concerns with ease. Affordable options for those smaller areas of concern. *Please Note: Best results are achieved with a course of treatments. All laser treatments require a thorough consultation and patch testing prior to treatment being performed. To book a consultation with one of our laser technicians please click here. Crows Feet, Frown or Smile Lines. Firm & plump small areas of concern with an intense pulse light photo rejuventation treatment to stimulate cellular regeneration, collagen, elastin and NMF production. The result is firmer, brighter and plumper skin in 1 month. Crows Feet, Fine Lines, Enlarged Pores, Frown or Smile Lines. E Light uses a combination of RF and IPL to gives a more comfortable treatment experience, better firming results and has the added benefit of RF skin rejuvenation. Small areas of concern can be treated to stimulate cellular regeneration, collagen, elastin and natural moisture production. The result is firmer, brighter and plumper skin in 1 month. Crows Feet, Fine Lines, Smile Lines, Enlarged Pores, Age Spots, Acne & Injury Scarring. Resurfacing and tightening built into one. Emerge Fractional Laser is a pixilated laser treatment using a precise Infra Red laser frequency to stimulate surface skin exfoliation whilst dramatically speeding up the skins natural cellular, elastin & collagen production rates. The result: scarring is repaired, pores are refined & tightened, surface pigmentation fades and fine lines and wrinkles are smoothed and filled with fresh, youthful skin cells. Some redness is experienced post treatment but usually is gone by the next day. Truly the best no downtime laser resurfacing treatment for those who do not have the time to hide away for weeks. Natural light induced skin rejuvenation to firm & brighten the skin. After a thorough cleanse your laser specialist will custom set your intense pulse light photo rejuventation treatment to stimulate cellular regeneration, collagen, elastin and NMF production. The result is firmer, brighter and plumper skin in 1 month. The comfortable, more effective, no downtime alternative to IPL skin rejuvenation. E Light is the perfect combination of RF and IPL technologies which deliver superior light frequency wrinkle tightening with little to no downtime. The addition of RF makes the treatment a more comfortable experience whilst intensifying the anti aging properties of IPL. Most patients leave feeling comfortable & remark that their skin seems to light up within 3 days of treatment. Non invasive laser skin resurfacing & tightening in one. 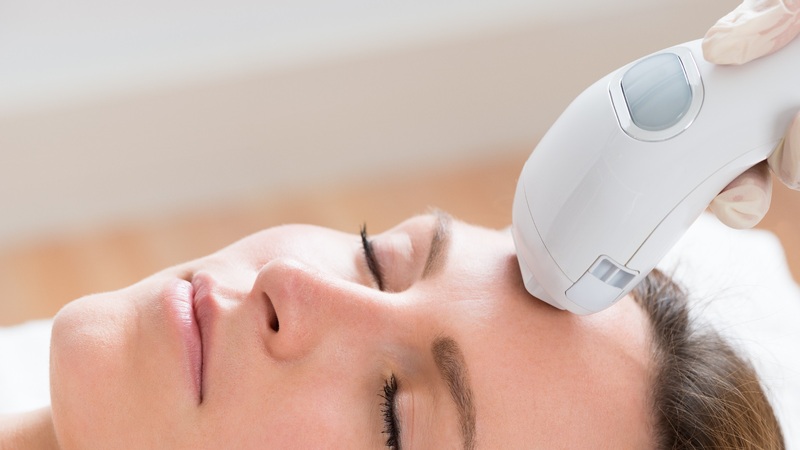 Emerge Fractional Laser is a pixilated laser treatment using a precise Infra Red laser frequency to stimulate surface skin exfoliation whilst dramatically speeding up the skins natural cellular, elastin & collagen production rates. The result: scarring is repaired, pores are refined & tightened, surface pigmentation fades and fine lines and wrinkles are smoothed and filled with fresh, youthful skin cells. Resurface small areas of skin damage with gentle progression fractional laser. Treat: Scarring, Stretch marks, wrinkles, enlarged pores, age spots. Multiple treatments required for best results. Resurface, lift & tighten skin around the eyes or lip circle for firmer, brighter and more youthful looking features. Treat: Crows feet, smokers lines, fine lines, scarring & enlarged pores. Best results are achieved with a course of treatments. Ask you laser specialist about a customized treatment plan. Smooth, lift & refine neck contours with anti aging Infra Red fractional laser skin resurfacing. Treat: Acne Scarring, fine lines, wrinkles, pigmentation, slackening skin tone. Smooth and refine the upper or lower face for firm, refined contours. Treat: Acne Scarring, Stretch marks, wrinkles, enlarged pores, pigmentation. Smooth & refine facial skin and contours with anti aging Infra Red fractional laser skin resurfacing. Treat: Acne Scarring, wrinkles, enlarged pores, pigmentation, slackening skin tone. Turn back the clock on sun damage & aging with non invasive fractional laser skin resurfacing for a youthful face, neck and decolletage. Shhh, this is the secret celebrities won’t tell. This Hollywood Laser Facial is a bespoke resurfacing laser facial targeting a dramatic stimulation in the production of collagen, elastin & hyaluronic acid within the deeper dermis of the skin. When performed regularly the skin lifts, firms, tightens, clarifies & glows with starlet skin health. A popular treatment for anyone in the public eye as it primes facial contours to become a perfect canvas for stage & studio makeup. The perfect resurfacing laser facial for the correction of vascular lesions, sun damage & slackening skin tone. E light is the perfect combination of RF & IPL. This combination makes the treatment a more comfortable experience than regular IPL with the added benefit of RF skin rejuvenation. Combined, this facial will help lift the facial contours whilst addressing spider veins, pigmentation & minor surface scarring. Performed By Facialist Maree Andersen – When aging, scarring & a rough skin texture is in need of dramatic refining, this is Maree’s treatment of choice. A bespoke multi layered laser & light therapy facial designed to repair scarring, smooth surface skin texture, reduce pigmentation & restore skin health. Will I need a consultation before I have a laser facial? If you are a new client to our skin clinic and laser treatments you will need a consultation and laser patch testing prior to under taking any laser therapy. I have had laser treatments before without any problems, do I really need a patch test? Yes. Queensland Health requires laser clinics to show proper due care. Laser patch testing & medical consent is required before we can perform any laser treatments on clients. Will my laser technician be certified to perform my treatments? Yes. All our skin health professionals are trained in house with our manufacturer trained Laser Safety Officer. They are also required to attend a Qld government approved laser safety certification course prior to performing laser treatment on our clinic clients. If I use supermarket skincare will this affect my treatment? Laser treatments are an investment and in order to get the most out of them we advise you to use clinical grade skin care at home to prolong the anti aging and skin repair benefits of your laser treatments. Please be aware that if you purchase your home skincare from supermarkets or unauthorised online liquidators you may be putting your skin at risk of not getting the best results or longevity from your laser facial. Is there anything I should avoid prior to laser treatments? Please Note: You must avoid unprotected, extended sun exposure for 2 weeks before treatment. Artifical colour (sun tan or tanning lotions) on the skin will put you at higher risk of burning and interfere with your laser results. It is best to have laser treatments after summer coming into winter to get the best results. Also discontinue topical Vitamin A creams and treatments 5 days before your laser treatment. Medication and anti-biotics can make you photo sensitive so please advise us on any new medications prior to treatment.